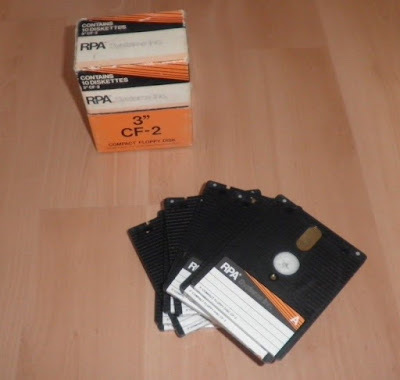 The lovely, durable 3" floppy disks the Amstrad CPC 6128 utilized, were difficult to find even as early as the early '90s, and have been getting unsurprisingly trickier to get a hold of since then. Handily, this eBay auction will get you 10 diskettes neatly packed in their box for your CPC. And, yes, they can also be used on your Spectrum +3.